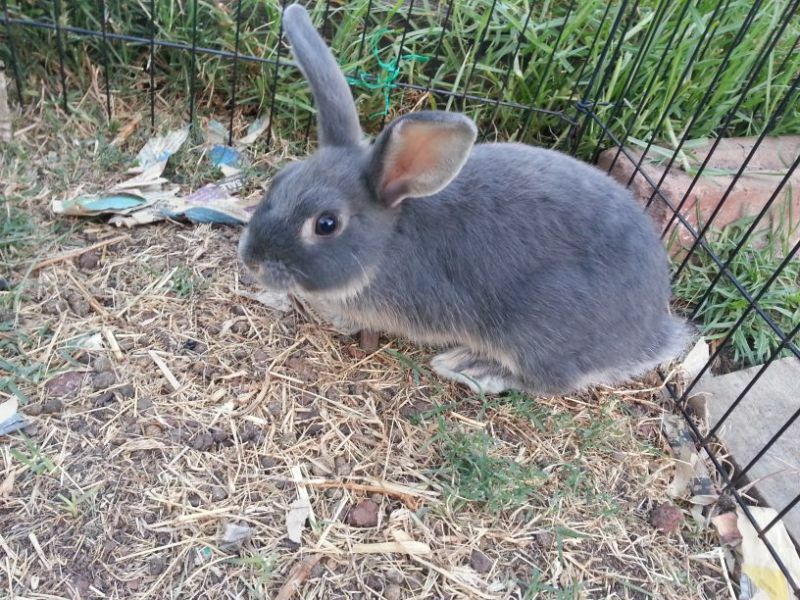 Rabbit – Free to good home. He must be around 2 years old now. Can be anti-social, likes to kick owners anytime he is picked up. When let out for a run, he has a habit of taking off under neighbors’ house for days on end. Ungrateful species, despite how many treats he stuffs his face with. May have hostile tendencies, and I’m sure he has it in for the cat…. May suit someone who has property where he can take off to be with his own kind, or hunted down by Elmer Fudd. Wife and the cat agree that this rabbit has to go.